To celebrate selling one million copies, the bestselling life sim game comes to consoles with a wealth of updated features, which will be a free update for existing owners of the game on PC and mobile. Youtubers Life is the ultimate life simulation game in which you can become the most successful youtuber on the planet! Create videos, get subscribers, attend events, interact with your fans… and grow your channel. You will launch your new venture from your parents’ house and gain your first subscribers, views and likes, but soon you’re well on your way to fame and fortune as a popular influencer. Meet other well-known youtubers, go to the wildest parties, share your life through social media and deal with your haters. Monetize your content, sign with exclusive networks and customize your place with the coolest stuff. Grow until you can afford a mansion in outer space! Youtubers Life: OMG Edition was released on PS4, Switch and Xbox One 156d ago in the US and the UK. 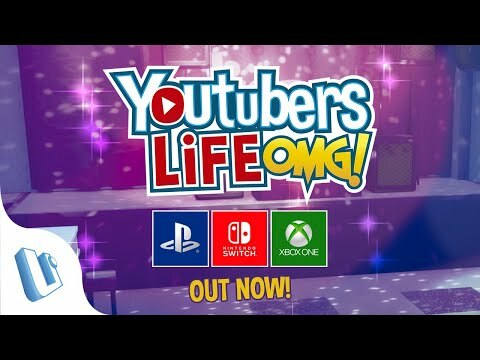 Notify me when Youtubers Life: OMG Edition is available.